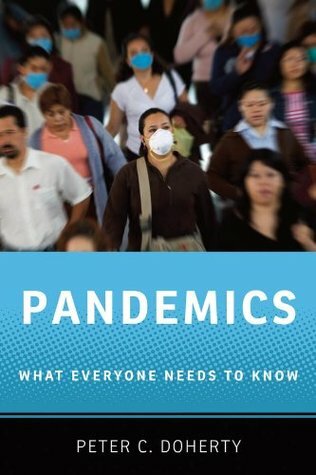 Nobel Prize winning immunologist and veterinary surgeon Doherty writes a comprehensive and succinct review of things involving disease pandemics: what pandemics are, which have occurred, which may likely occur, and what governments and individuals are doing/can do to combat them. To form a foundation for the reader Doherty first gives a quick primer on molecular biology, viruses/bacteria, and immunology basics. He then delves into discussing the major pandemic threat of influenza before moving onto others, like HIV. What impressed me about this volume is that it is written in a particularly laid-back fashion – almost stream-of-consciousness at points, obviously geared towards the layman with only a bit of background in microbiology. As part of Oxford University Press’ “What Everyone Needs to Know” series the book is organized as a series of question/answers to apparently aid in the comfort of this being a book for the general audience. The downsides to the book stem from this organization, I think. Many of the questions posed are quite simple, like asking what the difference is between a virus and a bacteria. But the ‘answer’ portion goes far beyond addressing that – into myriad other topics not directly related. It therefore ends up feeling like one is reading something from a political debate, where the question is used to spring off into whatever topic or aside seems to come to mind. This ends up making portions of the book – particularly the first chapters appear rather unorganized to me. In a few spots the scientific detail or issues raised appear to go beyond what I would deem really necessary (such as the PCR descriptions), but this was a rare occurrence. The densest scientific details can be lost on some readers without the overall important messages of the book getting lost. In the end if you are unfamiliar with what pandemics are, if you can’t explain what immunizations are and why we should get them, if you don’t know what the differences are between viruses and bacteria (and their treatments), then you should read this and learn some really essential information that is not only important for yourself but could be important for your responsibility in sharing this planet with other humans.